Comic release schedules have morphed into a weird track for me. How is it that all of my current favorite comics come out in the exact same week, forced to battle it out for Comic Book of the Week? Nearly any of the comics I read this week could have trounced some of the garbage I read other weeks. 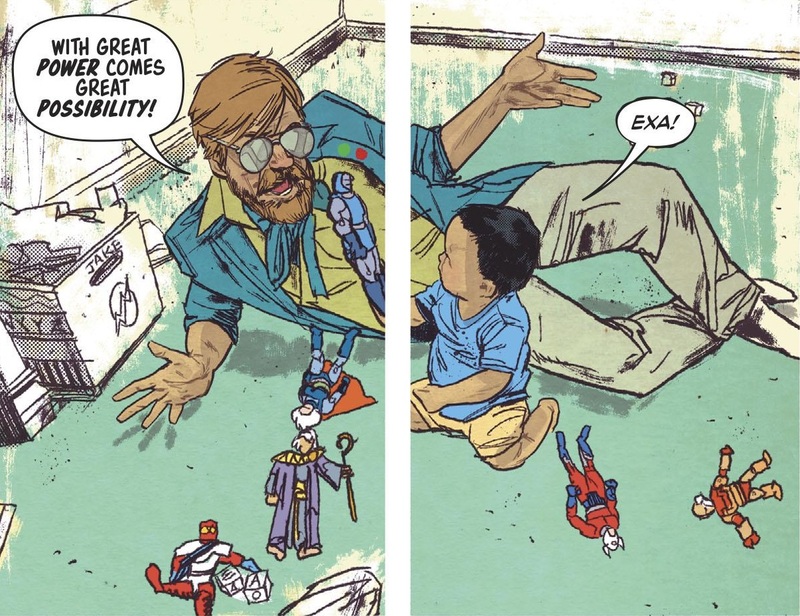 As much as I’ve been loving Wonder Twins — and this week saw another stellar issue — an old champion has revealed it still has legs and comedy chops! 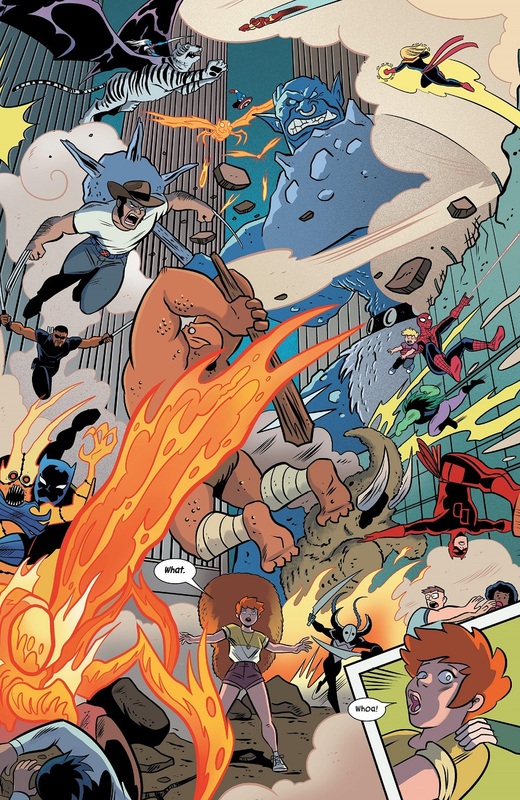 Unbeatable Squirrel Girl wins Comic Book of the Week for a really fun and funny tie-in to War of the Realms! Russell Dauterman, eat your heart out! Meanwhile, the new issue of Batman featured interior art by Amanda Conner, one of my favorite comic book artist of all time. I’m quite pleased with the issue, which sees the bachelor party of Catwoman, wherein she and Lois Lane party at the Fortress of Solitude. Unfortunately, I did not review the issue because Batman remains trapped in a weird dream prison thing, so I’m finding each individual issue difficult to grade. Fun stuff, though. 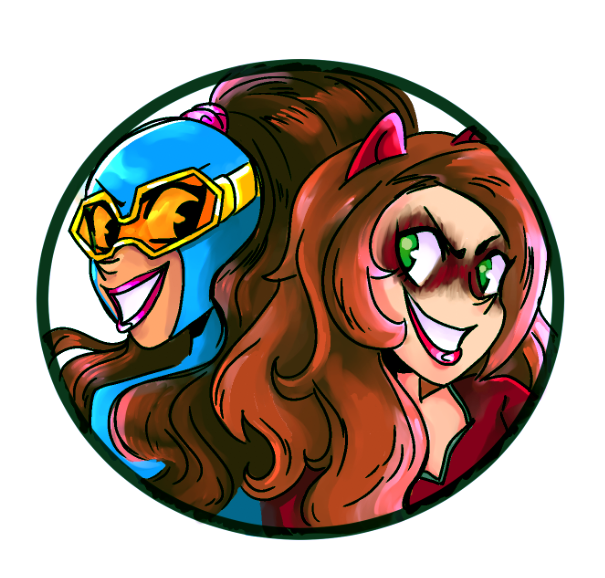 Comic Book Reviews: Go Go Power Rangers #19, Unbeatable Squirrel Girl #43, Unstoppable Wasp #6, Wonder Twins #3 and X-23 #11. Last week had a bunch of comics; this week, not so many. Such is the ups and downs of buying and reviewing comic books! I love it, you love it, and we can’t live without it. Like I said, not many comics this week, especially since I’ve dropped both Aquaman and Catwoman from DC Comics. Catwoman was good, Aquaman was not, but neither of them held my attention all that well. Marvel put out some comics this week, with Comic Book of the Week easily going to Unstoppable Wasp again for a great follow-up issue. Meanwhile, I watched Umbrella Academy on Netflix and it was really good. I highly recommend it. I never read the comic, so I can’t compare them. But it was a fun TV show. Comic Reviews: Guardians of the Galaxy #2, Uncanny X-Men #12 and Unstoppable Wasp #5. Last week was a wasteland of new comics I like to read, and this week drops a bunch! How do you like them apples, eh? Suffice to say, I had a lot to read and enjoy this week. Action Comics and Wonder Woman are both enjoyable out of DC, and my opinion starts to change for the better on Heroes in Crisis. Then we’ve got Marvel dropping a solid Ms. Marvel and West Coast Avengers. 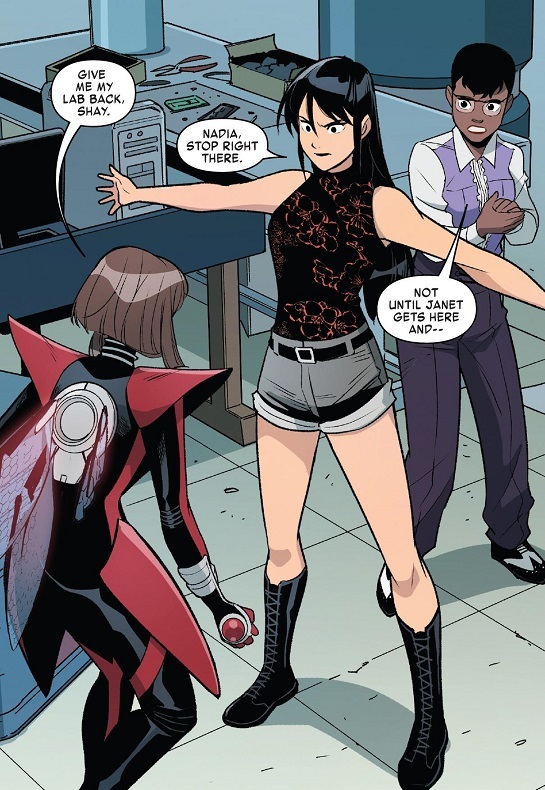 But the real standout, a true gem of a comic, is the new issue of Unstoppable Wasp. This is a rare game-changer of an issue and easily wins Comic Book of the Week. This is fine. Everything is fine. Could be a standout for Comic Book of the Year. Meanwhile, I read the Alpha issue for Age of X-Man and it looks fine. Pretty bare bones, with more than a few obvious glitches in the manufactured reality. I still haven’t decided how I’ll cover the event. I’m not about to buy and read every single issue…but maybe I won’t buy or review any of them. All I know for sure is that I’m excited to see what Leah Williams does with the Blob. Comic Reviews: Action Comics #1007, Captain America #7, Heroes in Crisis #5, Ms. Marvel #37, Unstoppable Wasp #4, West Coast Avengers #7 and Wonder Woman #63. But we’ve got some goodies this week, including Unstoppable Wasp, Unbeatable Squirrel Girl and Uncanny X-Men! How’s that for alliteration? Comic Book of the Week goes to the latest issue of Go Go Power Rangers, because I’m feeling generous and really enjoyed the issue-ending cliffhanger. The kiss is fun too! Meanwhile, as per friend-of-the-site xmenxpert’s request, I went back and read the first issue of Ironheart. It was fine, with some parts stronger than others. Generally well-written all around, with fantastic art. But it only emphasized the things I don’t particularly like about Riri Williams. And that’s on me. I’ll give it a few more tries to see if I stick with it or not. In related news, I also skipped the first issue of the new Miles Morales comic this week. I was meaning to read it and add it to my review pile, but this was a busier week than I’d planned. I’ll get around to reading it. 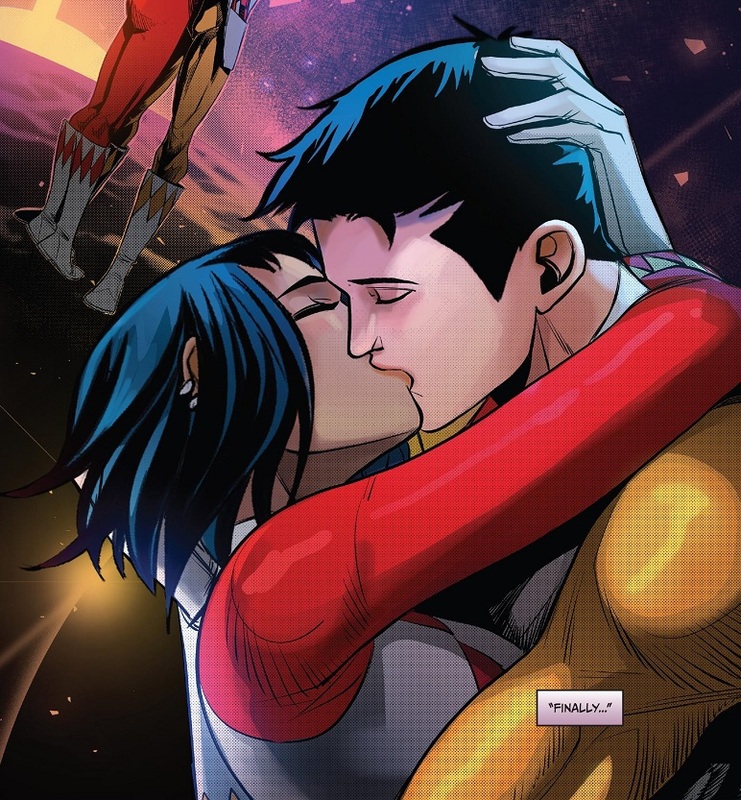 Comic Reviews: Go Go Power Rangers #15, Mr. & Mrs. X #6, Unbeatable Squirrel Girl #39, Uncanny X-Men #5, Unstoppable Wasp #3, Wonder Woman #60 and X-23 #7. Oh boy, this must be some kind of record! I’ve got 10 — count ’em, 10! — reviews for you henchies this week! The combination of a day off from work on Wednesday, and plenty of time to write these up, allowed me to really enjoy comics this week. I even skipped some titles to spare my sanity, so there could have been even more! We’ve got G. Willow Wilson’s debut on Wonder Woman, which I enjoyed. We’ve got the much-hyped Uncanny X-Men #1, which was meh. We’ve got the long-delayed new issue of Fantastic Four, which was good. And a ton of others! Comic Book of the Week goes to the final issue of Mister Miracle for a pretty momentous epilogue issue. It remains as mind-boggling as the rest of the series. I skipped a bunch of comics this week. Ms. Marvel was nice, but was a pretty weird tangent. I think I’m going to stop reviewing Rainbow Brite after only that first issue. The second one lost me. I skipped the new Domino purely because there were so many comics this week. And I’m still not caught up on Thor! Why do all my favorite comics come out in a single week?! Comic Reviews: Amazing Spider-Man #9, Captain America #5, Catwoman #5, Fantastic Four #3, Go Go Power Rangers #14, Mister Miracle #12, Unbeatable Squirrel Girl #38, Uncanny X-Men #1, Unstoppable Wasp #2 and Wonder Woman #58.